Divyanka Tripathi is at her ethnic best in these viral photos! Yeh Hai Mohobbatein fame Divyanka Tripathi's latest Instagram post where she is seen in a festive mode has taken over the Internet. In the photos, we see Divyanka Tripathi celebrating Ganeshotsav with her hubby Vivek Dahiya and some friends. If we go by her caption, it seems that Divyanka and Vivek were at a friend's house to visit Ganpati and they surely had a great time and had a lot of delicious food. Yeh Hai Mohobbatein fame Divyanka Tripathi’s latest Instagram post where she is seen in a festive mode has taken over the Internet. 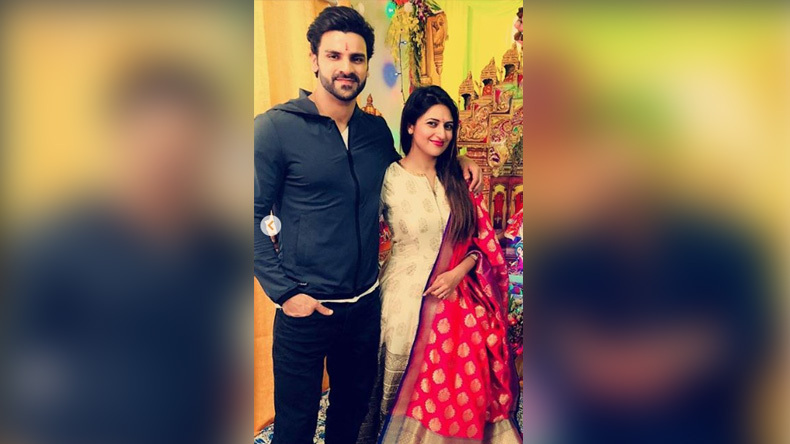 In the photos, we see Divyanka Tripathi celebrating Ganeshotsav with her hubby Vivek Dahiya and some friends. If we go by her caption, it seems that Divyanka and Vivek were at a friend’s house to visit Ganpati and they surely had a great time and had a lot of delicious food. Dressed in a cream and red suit, Divyanka Tripathi Dahiya looks gorgeous as she poses for the camera. Divyanka Tripathi Dahiya is one of the most popular television actresses and is also one of the highest paid small screen stars. She shot to fame with Ekta Kapoor’s popular television serial Yeh Hai Mohabbatein which has been topping the TRP charts for the past several years. Late night Ganpati visit and over eating spree! 🤤 Thanks for pampering Viv and me!! Divyanka Tripathi Dahiya has a huge fan following across the nation and has more than 8 million Instagram followers. Divyanka Tripathi Dahiya keeps sharing her stunning and beautiful photos on her Instagram account and they are all loved by her millions of fans on social media. Divyanka is married to television actor Vivek Dahiya and they both are looking amazing in the latest photos.